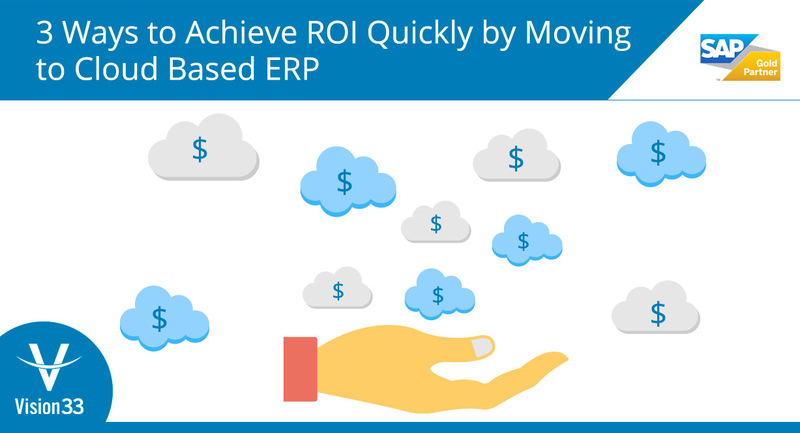 Did you know that when you use cloud-based ERP, you achieve a faster return on investment? You and your staff are able to continue to conduct business 24/7 with access to real-time company data anytime, anywhere and on any device. Roll out quickly and efficiently. Certified SAP Business One partners can deploy your solution 97.1% faster. Allow employees to make faster, more informed decisions and keep your business momentum going. 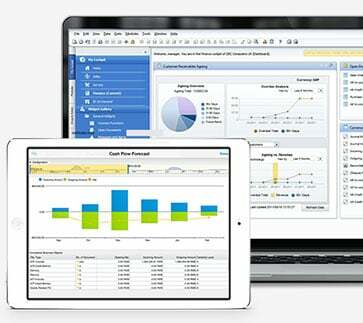 Access dashboards, reports, and KPIs from virtually anywhere to run your business on the go. Eliminate network bottlenecks by housing all your business data in a single, unified solution. Relieving you of server ownership: you no longer have to worry about the high costs of purchasing and maintaining your infrastructures, allowing you to focus on company growth. Making sure your real-time data is secure, backed up and up-to-date – customers have seen unplanned downtime reduced by 79.8% per year. You can save time and money by automating processes and eliminating the downtime of your chosen business management system. Ensure that your staff has access to the tools they need to stay productive and creates sales opportunities without the confines of office walls. Read our brochure, “Grow Your Business with SAP Business One Cloud” for more on how it can streamline your business processes and reduce infrastructure costs.